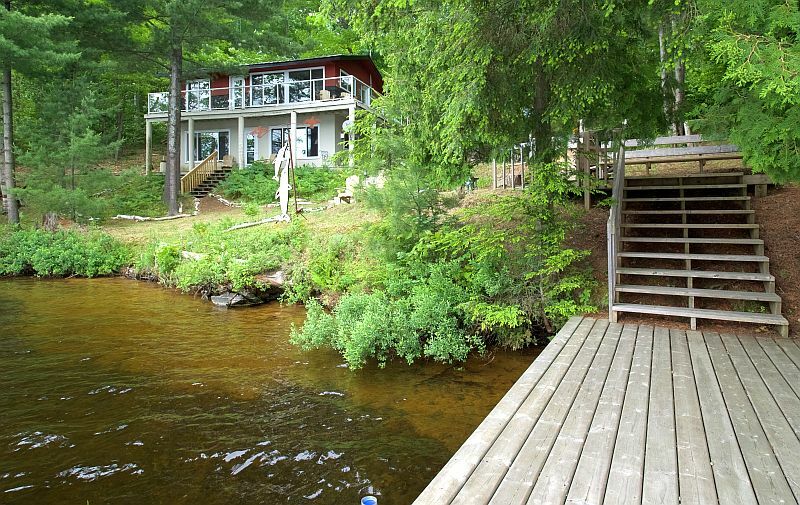 This renovated, immaculate and clean 4 bedroom cottage on the shores of Lake Waseosa awaits you. 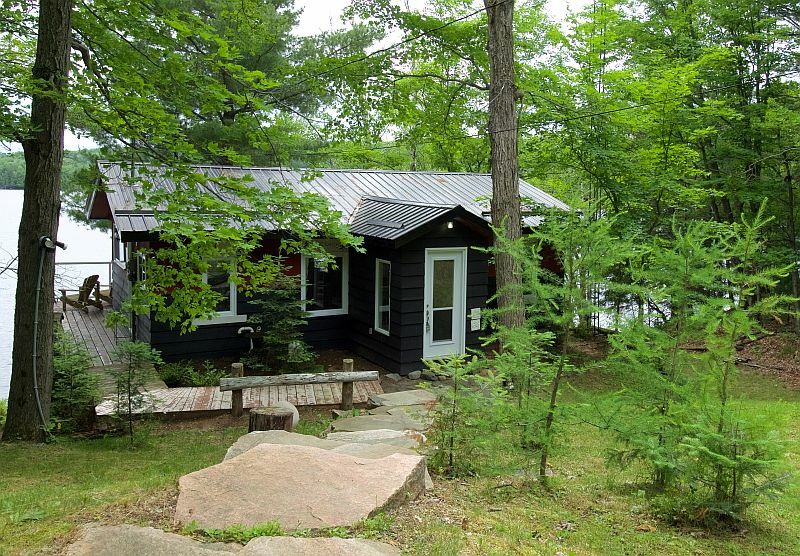 Located just a short drive from Huntsville, this is the ideal cottage for your family holiday. 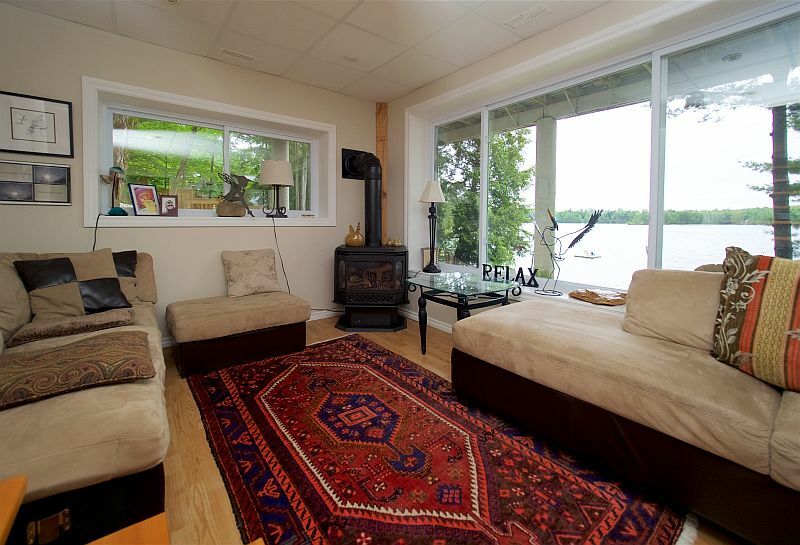 The cottage is tastefully decorated and flooded with natural light through large windows. 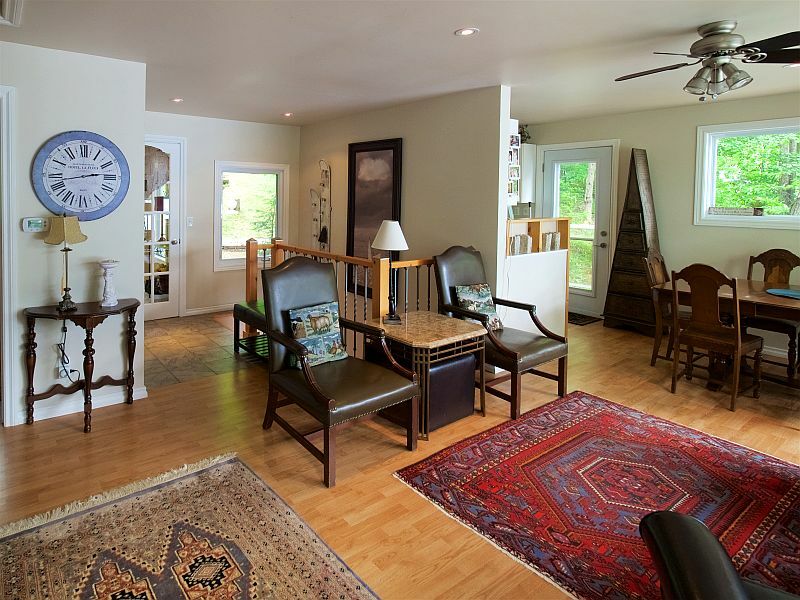 The main level has hardwood laminate flooring and there is carpet on the lower level. 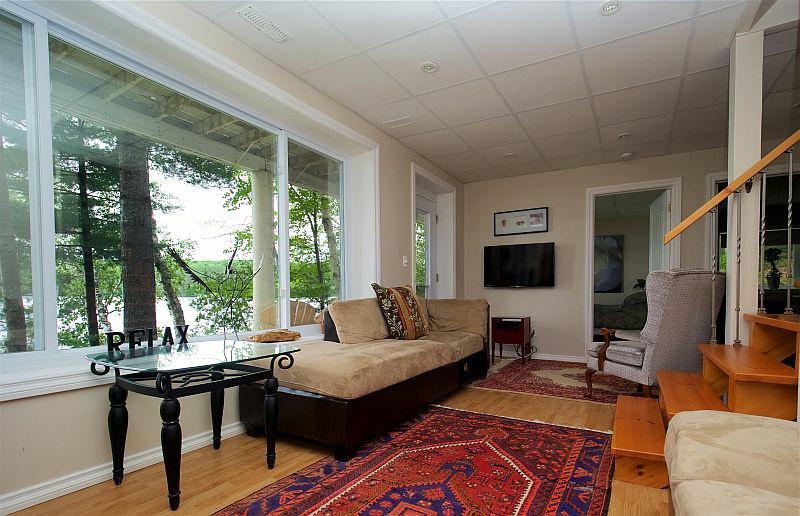 The living room on the main level offers a wonderful view of the lake, and is great for catching up on the day’s activities, or enjoying a quiet moment in the afternoon. The dining area, located near the kitchen, also offers a grand view of the lake. 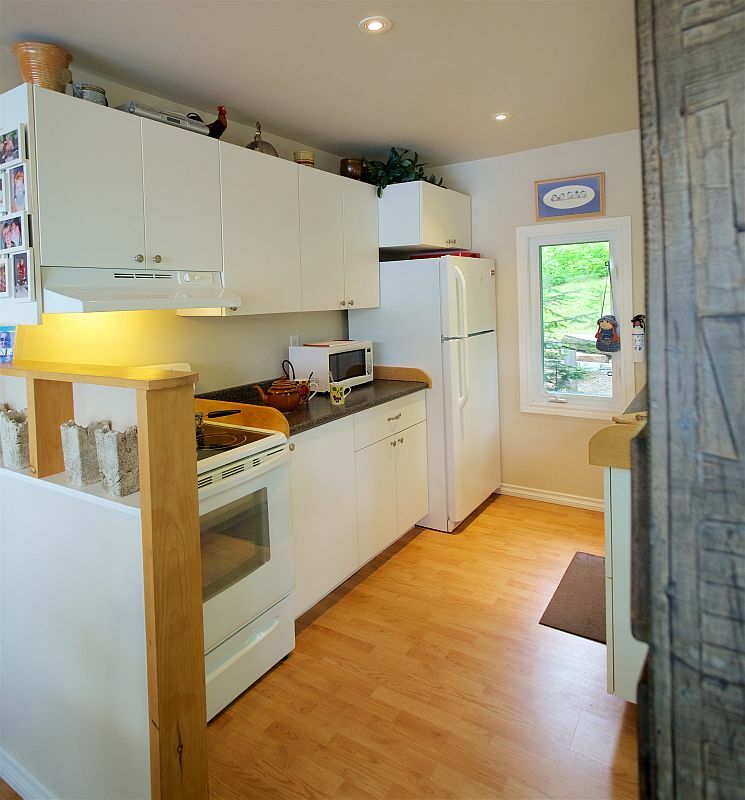 The galley-style kitchen has a full-size fridge, stove and microwave for easy meal preparation. The large deck, with glass railings so as not to take away from the view, runs the full length of the cottage, and can be accessed from both the kitchen and living room. There are two bedrooms on the main floor. The first bedroom has a queen size bed, the second, a set of single bunk beds. A four-piece bathroom is located close by. The other two bedrooms are located on the lower level. 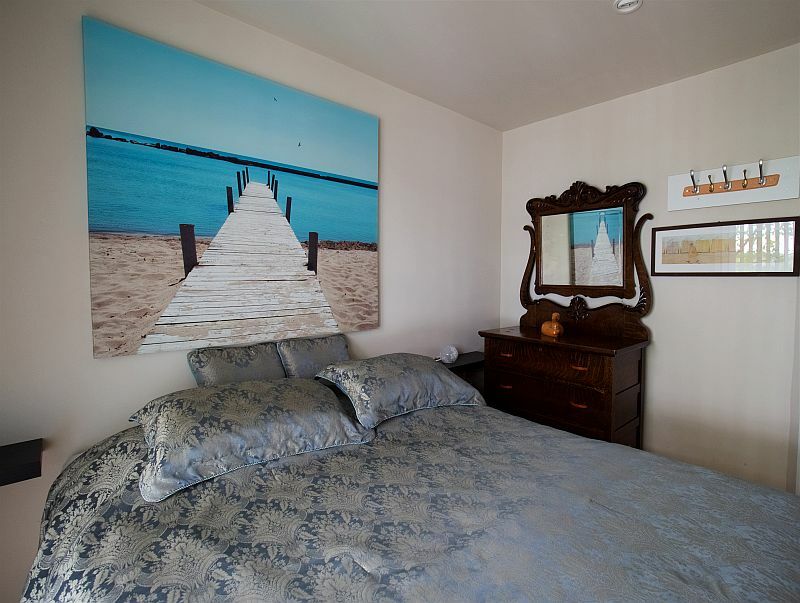 The first bedroom has a queen size bed, and the second offers two single beds. On this lower level is a second living room with a TV and comfy couches to curl up on to watch a movie or catch the big game. There is also a small reading nook with a variety of titles to choose from. This level provides another large deck that offers shade from the afternoon sun and a spectacular north-western view of Lake Waseosa. Follow the steps down from the cottage to the lovely natural gardens. A screen on the property line towards the neighbours on the left secures good privacy. On the right the spacious property is separated by natural tree line. 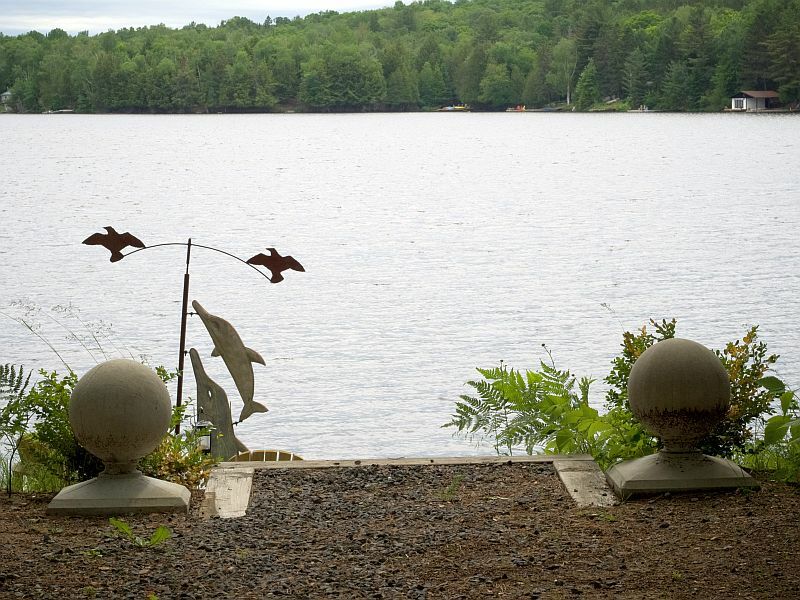 Swim from the dock or enter the water in the small shallow area. The bottom of the lake is shallow and sandy for quite a way out. Along the shoreline is a large tree trunk that has weathered over the years. This is great for sitting on, while you dangle your feet in the water and enjoy the lake view and breezes. A canoe and kayak are available for exploring the lake. 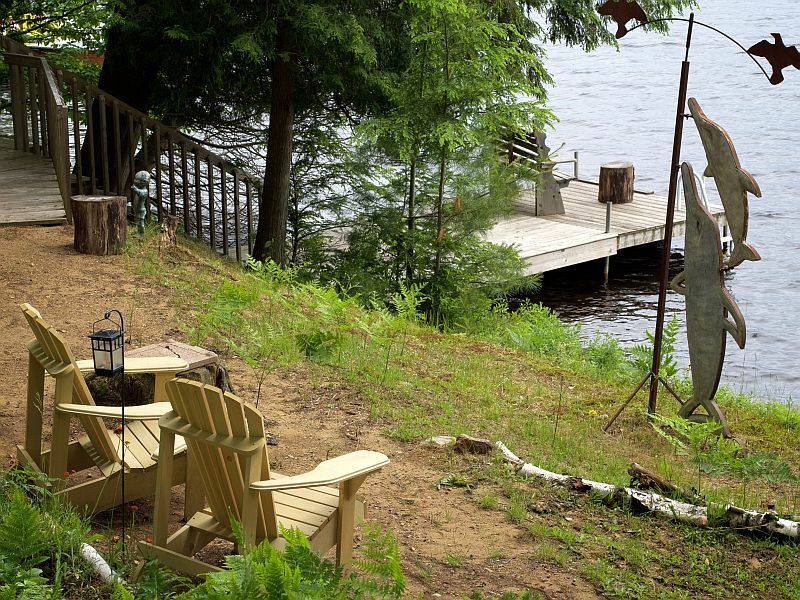 The cottage offers a fire pit, which is great for toasting marshmallows or enjoying a campfire sing-along. Huntsville offers good restaurants, live theatre, and a quaint downtown for shopping. With Algonquin Park less than an hour away there are many trails to hike, or perhaps even catch a glimpse of some wildlife. Take time to enjoy Pixi Land. Lake Waseosa is a closed lake. Additionally there is no public boat launch or one on the property. $1,365 per week during off season.